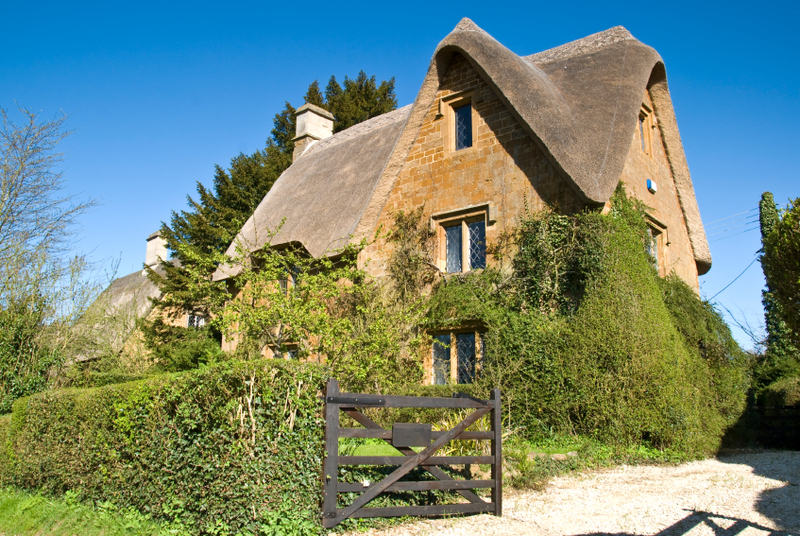 Recently I looked at a property which had been completely smothered on one side of the house with a climbing shrub. It had covered the walls, windows, gutters, and had started to grow over the pitch tiled roof. The shrub had started to grow through the windows, and dramatically reduced the amount of light entering into the rooms. 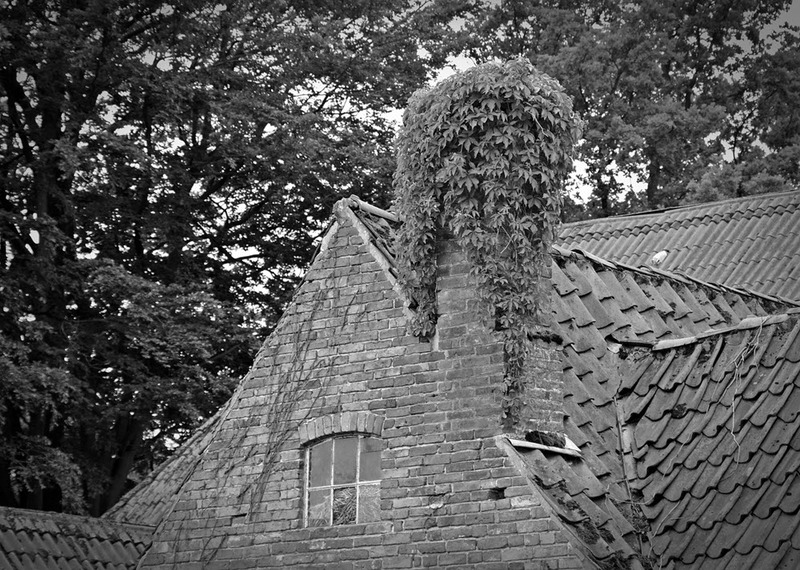 Roots had started to grow into the mortar joints, working some of the mortar lose; the stems of the shrub had actually grown through the gap between the gutter and the side of the roof actually filling the gap with wooden stems, putting pressure on the gutter itself to the point where it had distorted the gutter’s shape. On the roof, stems had also actually grown between the gaps in the roof tiles, starting to invade the roof space. From being a routine maintenance job, removal of the shrub will have become an expensive job, involving the use of ladders and scaffold. Once the shrub has been removed, the property will look tired, so there will be re-decoration work, and repair work, where the plant has caused damage to the building. The eventual cost will run into some hundreds of pounds. Over the centuries, gardeners have always planted climbing plants near to houses, they range from climbing roses, Wisteria, Berberis, Virginia creeper, and of course the all time favourite, Ivy, or Hedera, if known by it’s latin name. A mixture of plants will break up the building lines, and give the property that rustic rural look one would expect to find in a village. As ever, it comes at a price, whether it be additional on-going maintenance work or additional repair work caused by a long period of neglect. Once climbing shrubs are established, they should ideally be kept to a pruned shape. However, apathy normally rules, and the plants are left to grow at a pace. If they are allowed to grow in an uncontrolled way, they will eventually start to cause damage to the property. 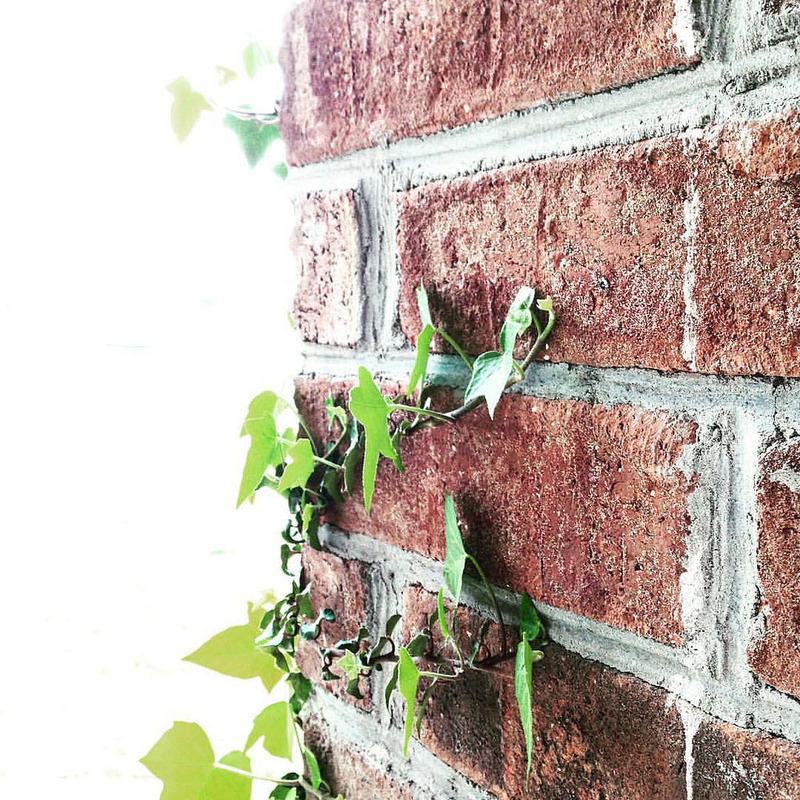 Ivy and Virginia creeper will actually start to invade the external walls, putting roots into the mortar joints and cracks. In turn this will loosen the mortar joints, which in turn will lead to a re-pointing bill once the plant is eventually removed from the building. I have seen roots grow into window joints, under the roof eaves, even invading the roof spaces. In one house, I have actually seen a shoot come out on the other side of the building, having grown across the attic roof space. Personally, I have had a wisteria grow on the side of the house, and I actually allowed it to invade the chimney and television aerial. The end came when one fateful night, the television signal was lost, as the aerial couldn’t hold the weight of vegetation any longer. Thank goodness we were due for a new digital aerial, so I didn’t actually have to spend money twice over, but it was a salient lesson on invasive plant growth. While the stems are juvenile, they are relatively easy to remove. If the plant is left to mature, the stems eventually lignify, become more wooden, and more importantly swell in diameter. It is this lignification and swelling which can cause the damage, Stems will lift roof tiles, puncture the sarking felt, and become increasingly more difficult to remove without causing damage to the structure. Suddenly you as the house owner are faced with a repair bill running into hundreds of pounds incurred for removing that shrub you planted in close proximity to your house. Where apathy rules, and the climber is allowed to invade the roof space, it will eventually cause further damage to the structure of the house. During periods of wet weather the foliage will absorb moisture, and retain it. Timbers located within the microclimate of the plant can be continually damp. This in turn creates ideal conditions for soft wood roots to develop, which will eventually occur over a number of years.. When the plant is eventually removed from the property, this further damage will also act to increase the eventual repair bill. If at all possible it is by far the best policy to keep the climbing shrubs pruned so that they only grow in a controlled area. They will still look attractive, and shouldn’t cause damage to the fabric of the house. Many houses are either semi detached or terraced. Quite often, one house will have a climbing shrub planted by a doorway. The plant becomes established, grows rapidly, and encroaches over the neighbouring property. 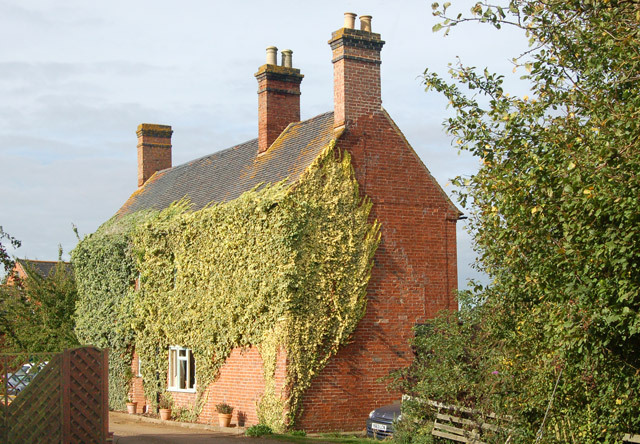 This is quite a common occurrence; I have just seen one house in Tewkesbury, where a Virginia creeper has spread across three houses, and is busily invading the neighbour’s windows. If damage is caused to the neighbouring property, the liability for the damage rests with the property owner where the damage occurs. You cannot pass the bill back to the householder who owns the base of the plant. You do however have the right to cut the plant down, and technically you should pass the plant debris back to the owner of the roots for disposal. The same principal should be applied to hedges and trees planted close to a property boundary. One way of controlling climber growth in close proximity to a house wall, is to plant the shrub in a large container. This will contain root growth, and prevent excess vegetative growth from occurring. Couple this with an active pruning policy, and it is quite possible to keep an attractive climbing plant close to the house without suffering the ravages of damage caused by uncontrolled plant growth. The only downside, is that you have to keep the tub watered and fed, to keep the shrub alive. Most of the time this is relatively easy to do, the problem comes when you go away on vacation, particularly during a hot summer period. However, in the long run what price are you willing to pay to keep repair bills at bay?